Portable ACs give you the luxury of moving it with ease and are more energy efficient compared to the non-portable ones. Portable air conditioners are available in all the price segments and all capacity ranges. The capacity of these portable ACs ranges from 1 ton to 4 tons. If you live in a humid area, you can choose to buy one that comes with a dehumidification option to remove excess moisture from the air. The power requirements of most of these air conditioners do not exceed 240 volts. The external noise is also in controlled range, not exceeding 60 decibels. The rotary compressor of these mobile ACs saves the maintenance cost by assisting the inside system to work smoothly without getting rusted. 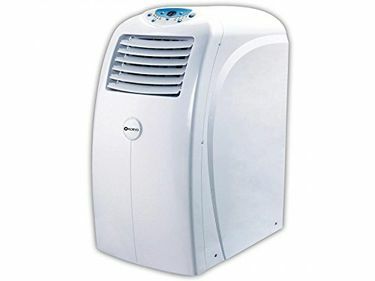 Get ready to buy the best AC this summer from Portable AC price list that contains 4 latest and new Portable air conditioner models with price in India that is last updated on 22nd April 2019. These floor standing air conditioners can sit even in compact places of your room, thereby saving the place for other things to put in. A single movable air conditioner is sufficient for your home as you can easily carry them where ever you want. 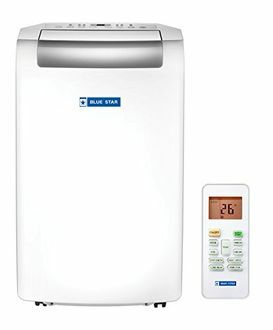 Buy a Portable air conditioner online in India at the lowest price and keep yourself away from the scorching heat and humidity. 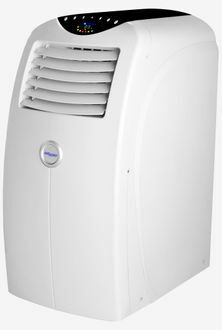 They are available on all the online shopping websites, and the Portable ACs price in India varies from store to store. But before buying online, make sure that you have checked the above list, which fetches you the best price and availability across all sites. You can also visit the individual product pages and check their specifications and reviews in detail and compare the price across various sellers. The product pages also list all the offers like additional discounts and cashbacks from different shopping websites. 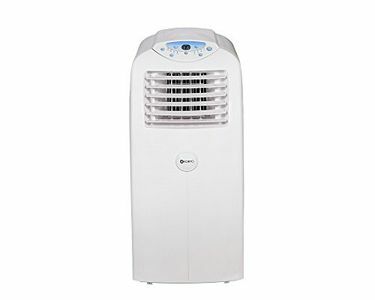 Prefer online shopping as you can buy a portable mini air conditioner for the room at the cheapest price from the comforts of your home.